I am back from my Eurotrip, and let me tell you, it was AMAZING! Many blog posts to come about the trip. Plus I am going to post about camping earlier this summer and going to market with my Mommasita! 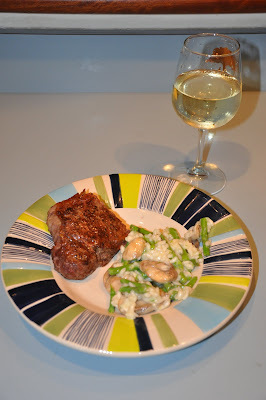 However, until then, I wanted to share an INCREDIBLE recipe. My sweet friend Beth gave me a Cooking Light magazine subscription for my birthday last year, and I have definitely take advantage of all the yummy recipes it provides. 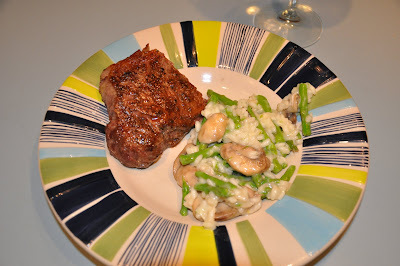 One that particularly caught my eye was for a Summer Lemon-Vegetable Risotto. 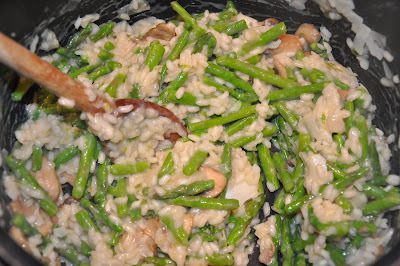 I adore risotto, but I have never made it myself so this was an experiment that I was excited to try. The recipe called for summer vegetables like squash and sugar snap peas. However, I was craving asparagus and mushrooms...so those were the veggies I decided to use. 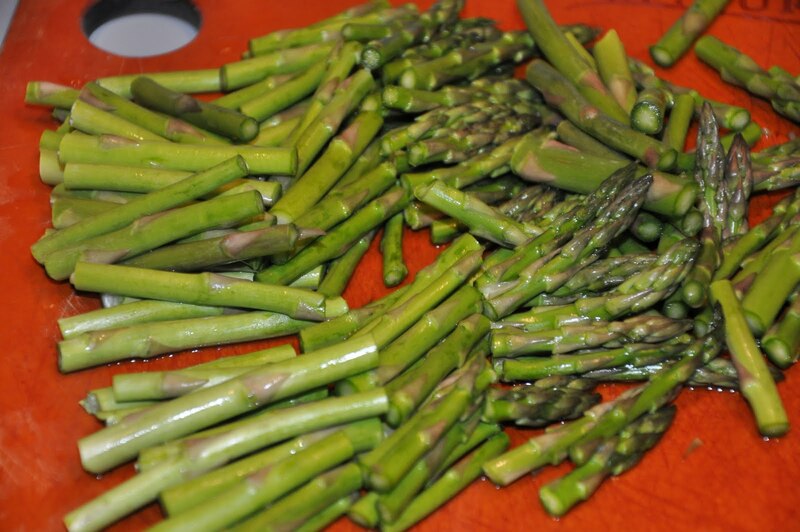 Chop up your asparagus and throw in a pot of boiling water. Cook for about three minutes and drain. In a separate pan saute mushrooms until brown. When cooking with wine you should ALWAYS pour yourself a glass to enjoy while you work! In a small pot bring vegetable broth to a simmer and keep on low heat. Add 1 tbsp of Olive Oil to your large pot and add shallots. Saute until clear. Stir in rice and cook for 1 minute. Constantly stirring. Stir in some wine and stir until liquid is absorbed. Gradually add 1 cup of broth and stir until liquid is absorbed. 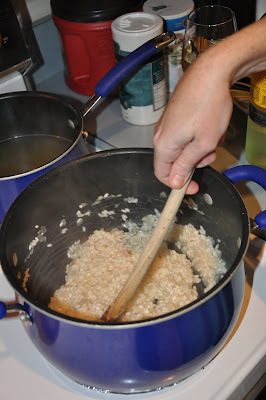 Continue adding 1/4 cup of liquid at a time to rice and stir until liquid is absorbed before adding the next 1/4 cup. 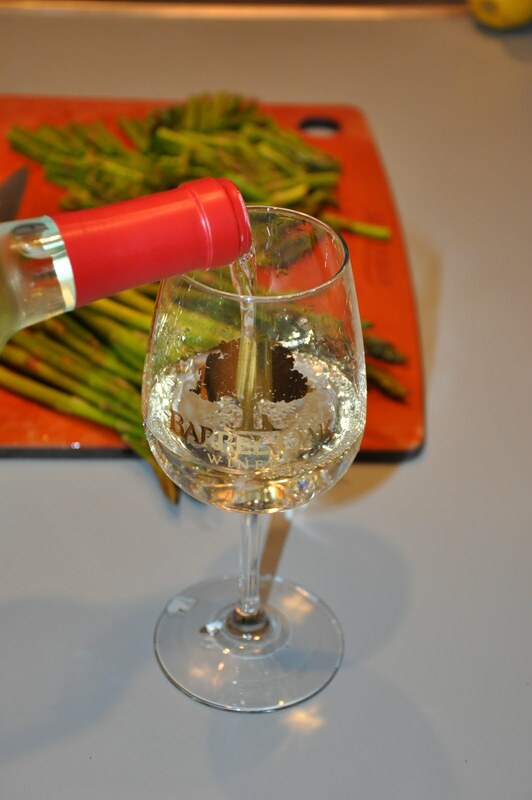 It takes about 20 minutes and requires quite a bit of stirring...but that is why you have your glass of wine to keep you happy! 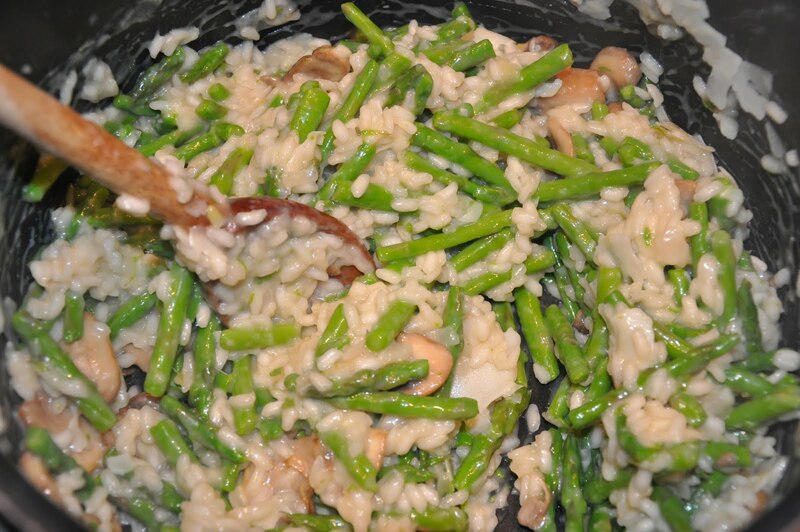 Once all of the liquid has been added to the rice and it has been absorbed, add the veggies, cheese and lemon! Use the recipe as a base and add whatever you like to the mix. It was SO EASY, and I will definitely make it again soon.